You want to try it first? 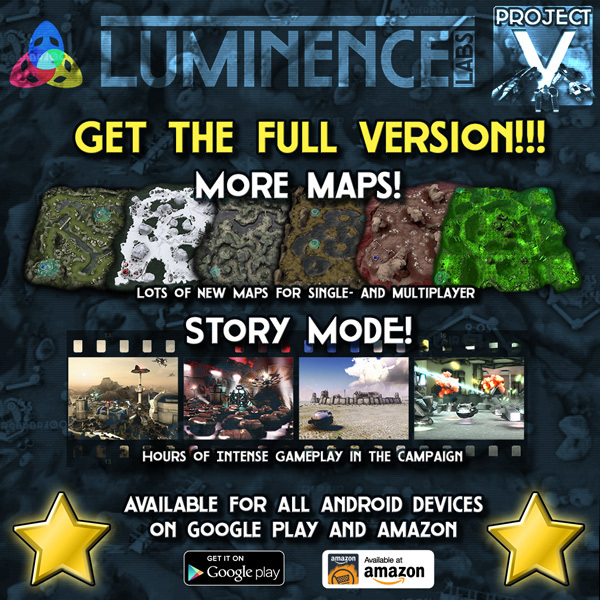 Get the free ProjectY -lite- from GooglePlay and rate it! Or if you can’t use Google Play for some reason, get the free ProjectY -lite- .APK from the Website. The full version comes with lots more maps for use in singleplayer and multiplayer and with a full blown story mode for singleplayer which offers hours of intense gameplay in 3 chapters with 6 missions each!